Tax technology provider Vertex hosted a two day conference in April 2018, bringing their experts in tax and technology together with their partners and clients. European CEO joined them to learn about the tax compliance challenges that multinational businesses are facing, and the trends in technology and automation that are helping them manage. 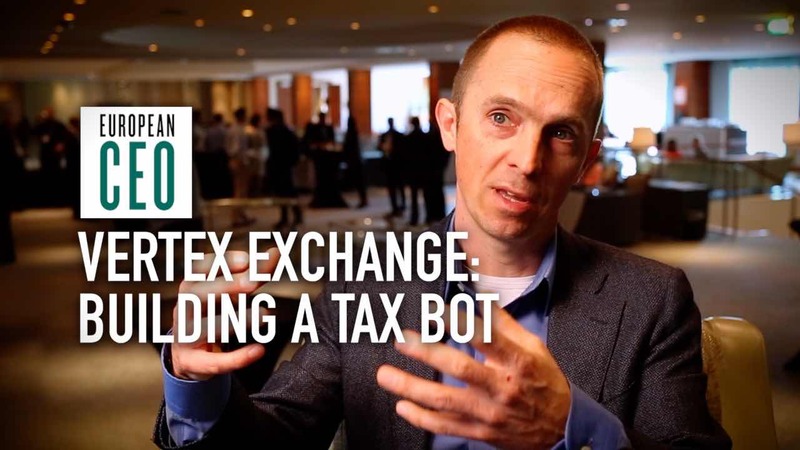 In this video, VAT Director Danny Vermeiren explains the two big trends in the European VAT landscape: digitisation, and real-time reporting; and discusses the technologies that tax authorities are using to implement these strategies, and that businesses are adopting to comply. Danny Vermeiren: The major trend in VAT has to be digitisation. Across the board, tax authorities are coming out with more and more requirements to report more and more data, and in an electronic form. The second change is that authorities are moving up the point in when you need to be reporting. It used to be you had the luxury of reporting after the fact, maybe after a month or something. What we’re seeing now is that point gets shifted up further and further again. We’ve had Spain: eight days, four days; Hungary: real time; and Italy coming up will even be before the transaction in sort of an e-invoicing type of setting. The trend of digitisation and the increased reporting and electronic reporting in the VAT world is driven by the VAT gap. So the VAT gap is the difference between the actual collected amount of VAT and what the authorities should be collecting. There is basically a couple of reasons for this VAT gap; one would be missing trade or fraud, and the other one roughly would be error, right? So, governments are really mostly looking to close the gap on the fraud side, but really what we’re seeing is that as companies prepare for all of these changes, they are automatically improving their systems so they’re also reducing the amount of errors that they have in their processes. As governments ask for more and more data, and ask for the data quicker, tax departments need to adapt the way that they’re working as well. Gone are the days where tax departments could just dump everything into an Excel sheet after the fact, and work the sheet up to the point where they would start reporting. Automation is becoming increasingly important for tax departments, because the volumes of data, and the nature of the checks you need to do on that data to be able provide quality data to the authorities is that big that there is no possibility any more for tax departments to go in and check things manually. So really tax departments need to follow the trend and become digital tax departments: change the way they’re doing their roles, use automation and even advanced ways of automation like robotic processing automation and so on, to be able to deal with the new requirements that governments are putting on them.